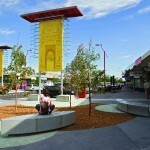 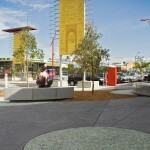 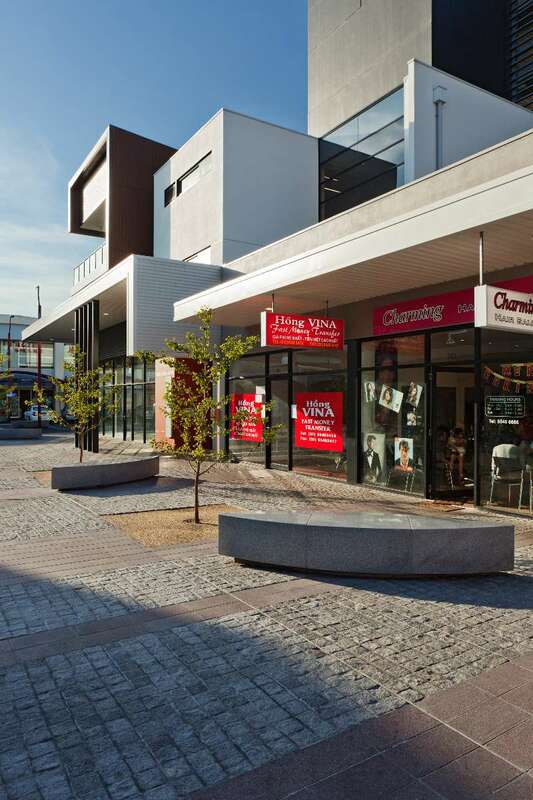 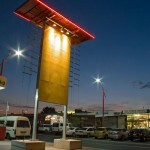 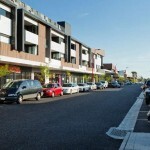 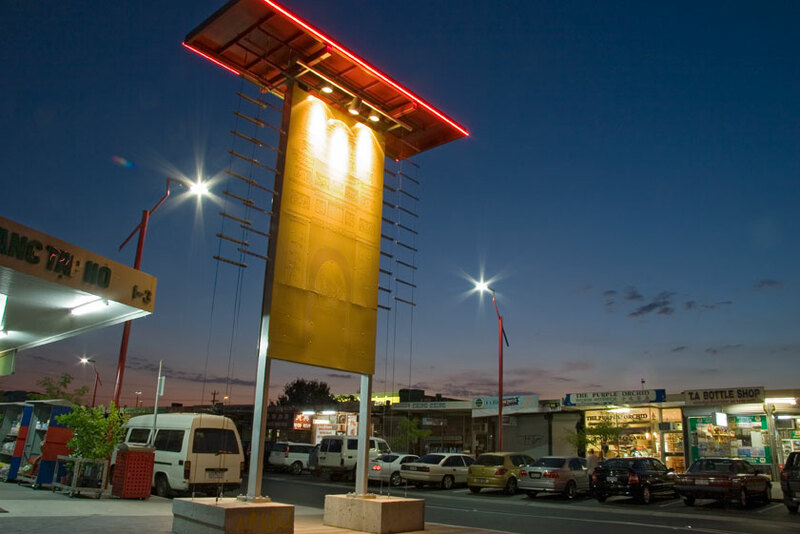 Urban Initiative’s design work in the Springvale retail area began in 2002 with the completion of the distinctive gateway art project. 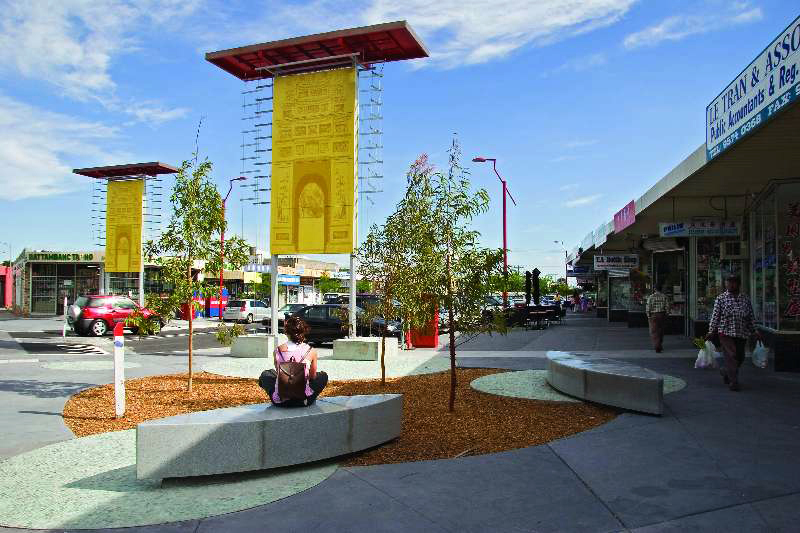 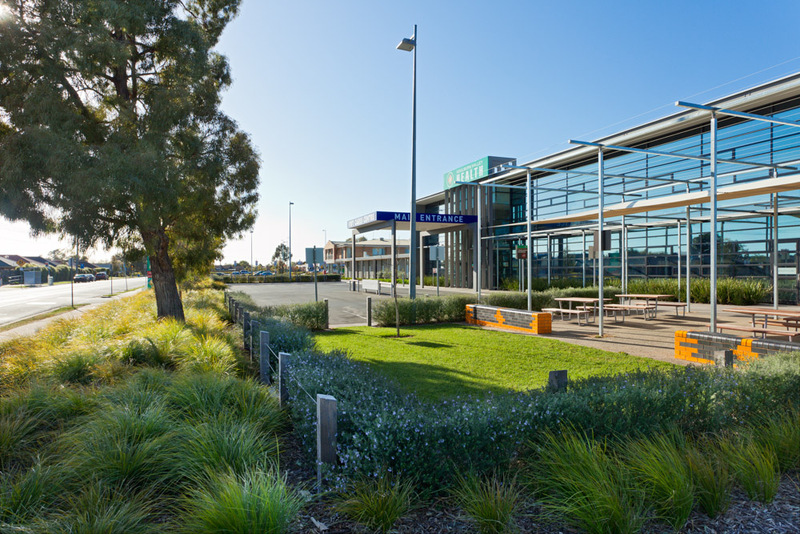 Over the subsequent ten years Urban Initiatives worked with Council on a suite of streetscape and urban design projects designed to improve the functionality, amenity and atmospherics of the Springvale Activity Centre. 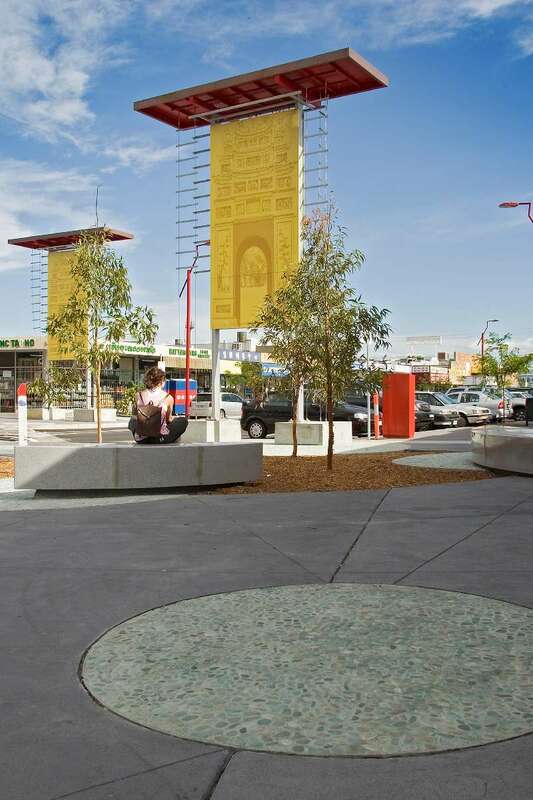 The emphasis has been on achieving a consistent design outcome while still responding to the specific needs of traders and the local Vietnamese community. 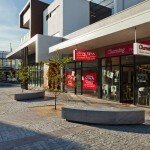 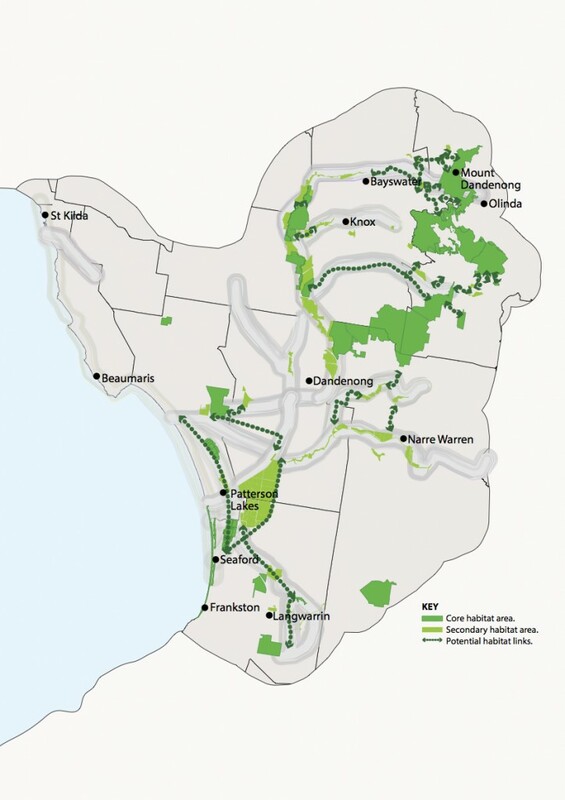 Involvement by Urban Initiatives over the decade, under numerous small contracts and despite frequent changes of responsible council staff, has led to the renewal of 20 000 m2 of previously degraded public street space. 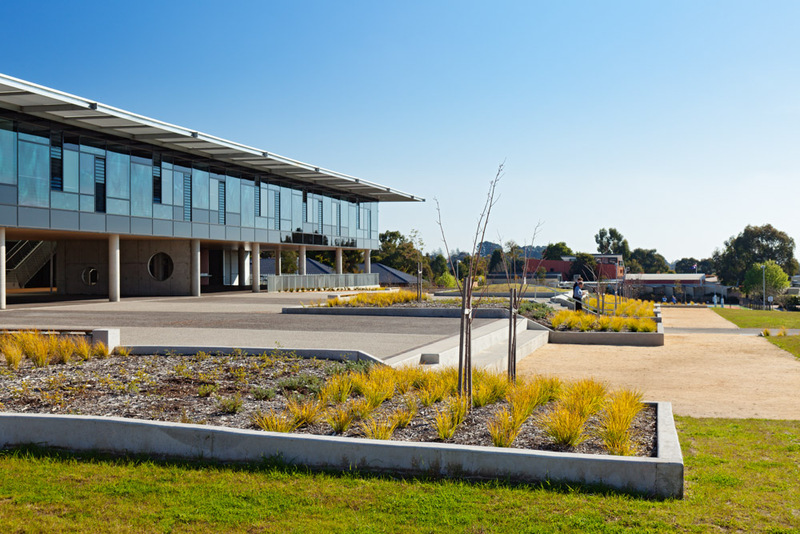 This transformation has been achieved on a shoe string budget. 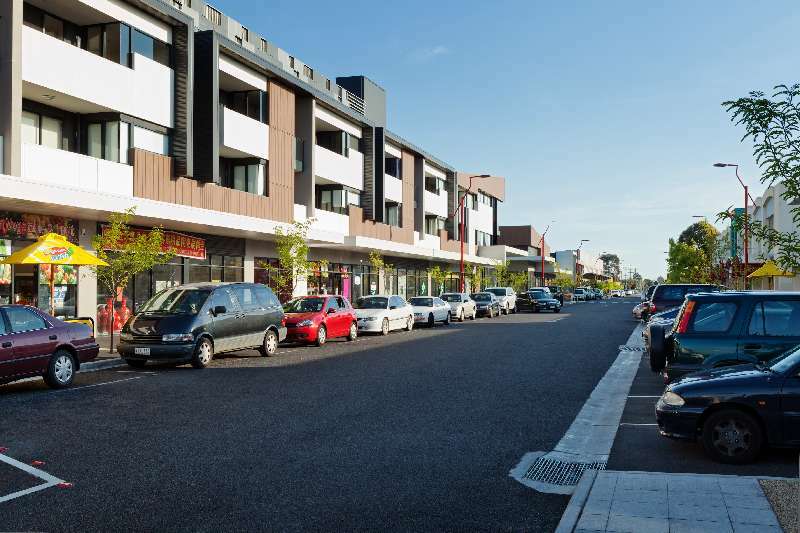 The integration of a sophisticated mixed-use development that replaced a large on grade car park has given the area a new heart without compromising the lively multicultural feel of the centre.